The past two years I have made some super fun Holiday Mixes. Here’s a “re-print” of last year’s post and the link to download. Enjoy! Christmas time is without a doubt my favorite time of year! It has been ever since I was a little girl. I love the lights. 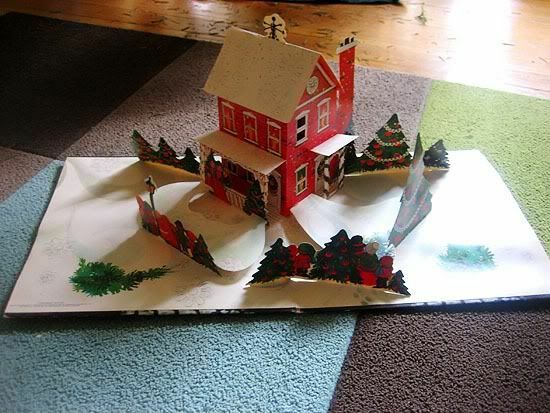 I love decorations. And I LOVE THE MUSIC. 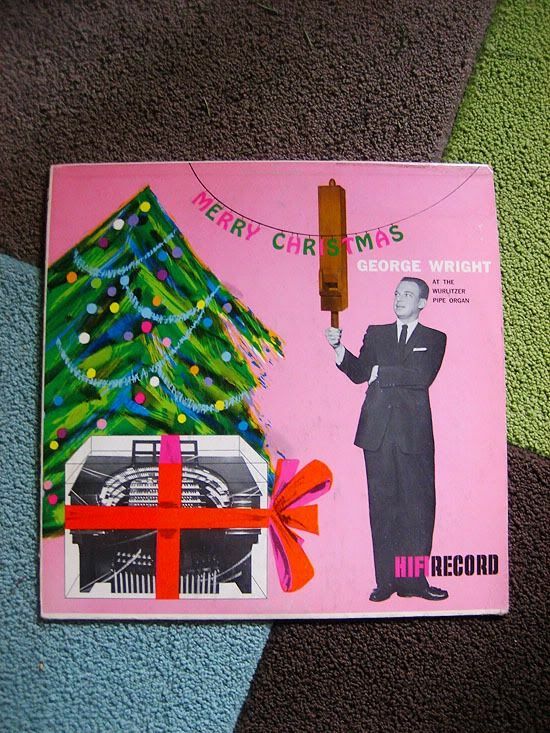 As a result, I have been collecting vintage Christmas records for ages—there is something about a holiday song played on a hi-fi that makes it even more festive. Reminds me of the music my parents would play for us when we were kiddos. 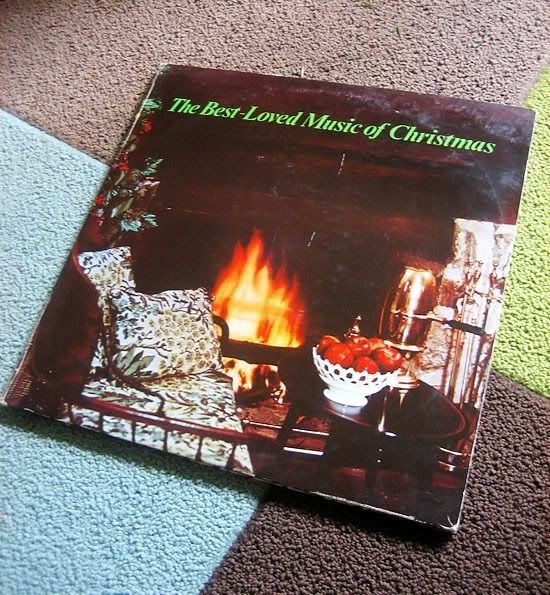 This next one has a rather worn and uninteresting-looking cover (bowl of apples by the roaring fire, anyone?) oh ho, but just you wait! 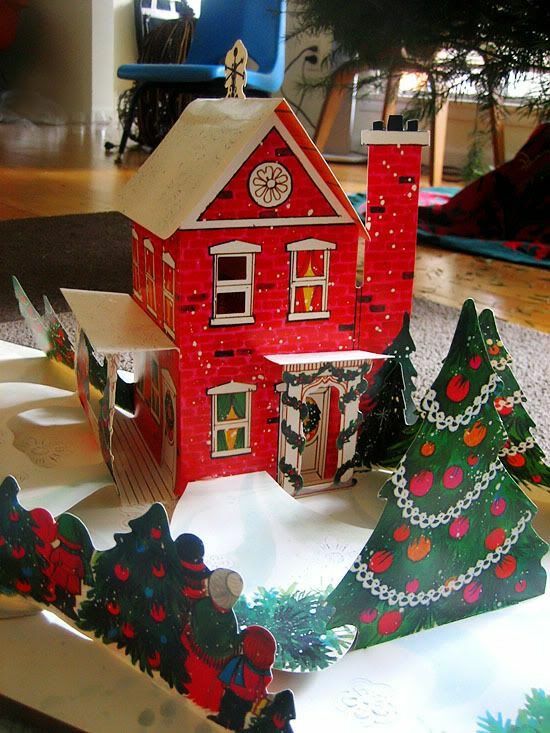 A pop-up house! It’s so cute and adorable…. It’s all goofy “cocktails-by-the-fire” kinda music. Some highlights? It’s an eclectic mix and I’ve played it non-stop the past few years. Feel free to link here and share the Christmas love! 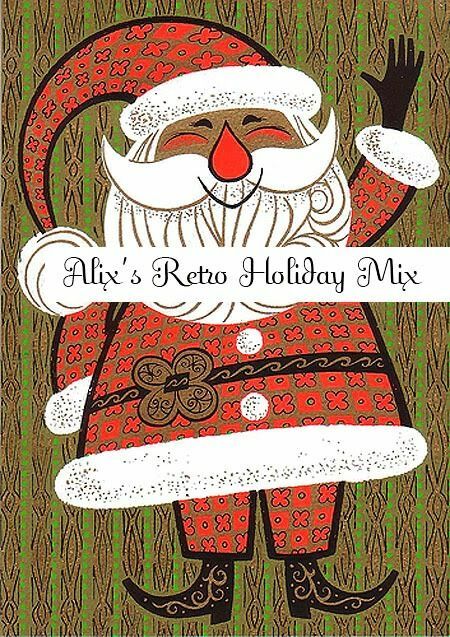 DOWNLOAD ALIX’S RETRO HOLIDAY MIX Vol. 1 HERE. Volume 2 will be coming up on Friday! I love Volumes 1 and 2! And THREE is in the works!! just you wait….. I will plotz when three comes! PLOTZ! omg there’s a THREE?! can’t! wait! i’m listening to one and two in the shop right now!! This is awesome! 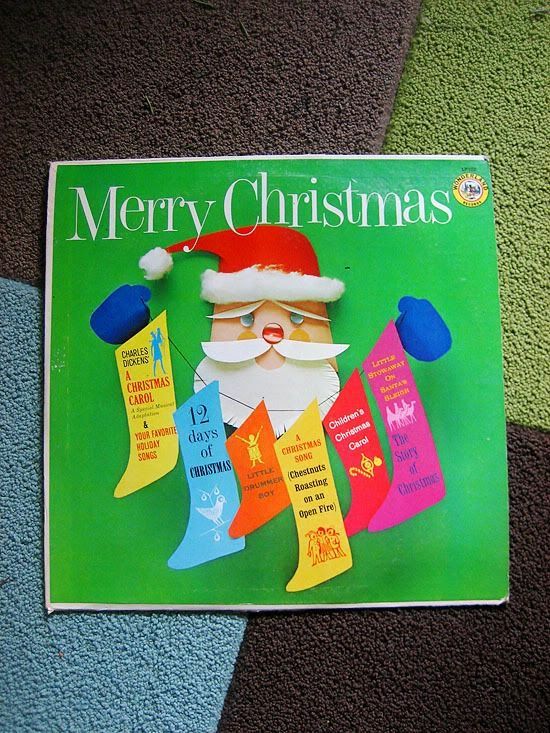 I just started collecting vintage Christmas albums and so far….I haven’t found too many winners…hehe. I’m excited to listen to your collection–I bet it will have the sounds that I’m craving to hear!! Thanks so much for making it! oh there are lots of clunkers….where the songs are a little too sleepy/mopey. BUT there are some awesome gems too! quirky and upbeat! I hope you like! Oh lordy! A volume three?!? Be still my heart! 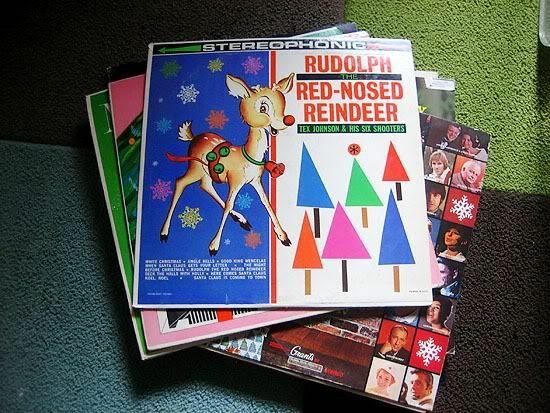 I play these EVERY year, Alix! Love them! Thanks so much for sharing these with us! HURRAY! Makes me so happy to hear! super excited for this!!!!!!!! I’ve been playing your last mix at the shop on sundays. happy little antique shoppers just bopping around to Too Fat For The Chimney! TOO FAT! FOR THE CHIMNEY! It’s cute because Wolfie has been subjected to it for the past 2 years now, and I heard him singing “Too Fat for the Chimney!” the other day, in a little sweet voice. hahaha! Mix 3 has some good stuff coming up! Fingers crossed I get it done by Friday! Also, hello….how i wished I could swing by your shop in Sundays! i just downloaded it! i can’t wait to listen to it!